Toronto is a great city to live and work in, or just to visit. We have a high quality of life and reliable services, in one of the safest urban environments in the world. We have a lot more going for us, too. 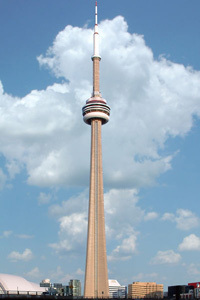 Toronto lies on the shore of Lake Ontario, the easternmost of the Great Lakes. Home to more than 2 million people, the city is the key to one of North America's most vibrant regions, the Greater Toronto Area (GTA). 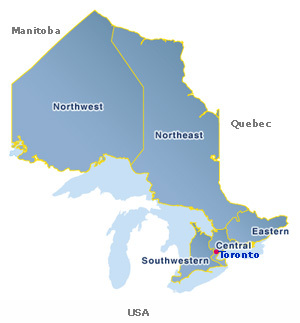 4.5 million Canadians live in the GTA, the cultural, entertainment, and financial capital of the nation. The city is also the seat of the Ontario government. The climate in Toronto is moderated by its proximity to the Great Lakes (in particular Lake Ontario). Summer tends to be hot and very humid, while winter is severe with heavy snowfall. The average maximum temperature in January is 28°F (-2 °C), while the average maximum temperature in July is 80°F (27°C). Rainfall tends to occur throughout the year, but summer, though the sunniest season, is also usually the wettest. Autumn is perhaps the best time to travel to Toronto, as temperatures are less extreme than summer or winter, with mild days and cool nights. Copyright by Maple Educaiton Consulting.